The wealth of Presidents of the United States has varied considerably. Most U.S. Presidents before 1845 were extremely wealthy, including Andrew Jackson, who was born into poverty, and George Washington, the richest of the period, but by no means were all early Presidents rich. Many of these early presidents were landowners, and some of them owned plantations, including their ownslaves. The Presidents of the late 19th century and of the 1920s were generally not very wealthy, despite the widespread belief that their economic policies benefited the wealthy the most. Many of these were born into poor or middle-class families and did not move up the economic ladder significantly during their lifetimes, even though a number of them served as generals in the U.S. Army. 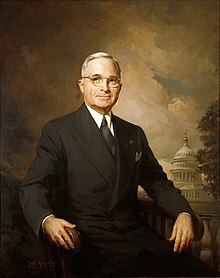 U.S. presidents since 1929 (when Herbert Hoover took office) have generally been wealthier than before; all except Harry Truman were millionaires. These presidents have often received income from autobiographies and other writing; other than John F. Kennedy, all presidents beginning with Calvin Coolidge have written autobiographies. In addition, many presidents received considerable income from public speaking after retirement, such as Bill Clinton. As indicated in the table, four of the five richest U.S. presidents since 1929 were Democrats. The poorest U.S. president since 1929 (Harry Truman) was also a Democrat. 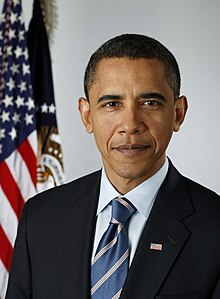 Current president Barack Obamaranks 21st in wealth. The figures in the table below are all from 24/7 Wall St.’s 2010 valuation of each president’s peak net worth. To allow direct comparison, all of the figures have been adjusted for inflation to 2010 dollars. Jump up^ “Andrew Jackson”. HISTORY.com. Retrieved 2015-09-18. Jump up^ “Heritage Auctions Newsletter: George Washington, Landowner”. Historical.ha.com. Retrieved 2015-09-18. Jump up^ “James Garfield (1831-1881)”. Thelatinlibrary.com. Retrieved 2015-09-18. Jump up^ “Calvin Coolidge: Why are Republicans so obsessed with him?”. Slate Magazine. Retrieved 2015-09-18. Jump up^ “Answers – The Most Trusted Place for Answering Life’s Questions”. Answers.com. Retrieved 2015-09-18. Jump up^ “Giving, by Bill Clinton”. Ontheissues.org. Retrieved 2015-09-18. Jump up^ McIntyre, Mike (5 April 2008). “Clintons Made $109 Million in Last 8 Years”. The New York Times. Retrieved 15 August 2012. ^ Jump up to:a b c d “Presidential Purses – TIME”. Time.com. Retrieved 2015-09-18. ^ Jump up to:a b “The Net Worth Of The American Presidents: Washington To Obama”. 24/7 Wall St. (WordPress.com). May 17, 2010. Retrieved June 26, 2016. This page was last modified on 26 June 2016, at 05:06.